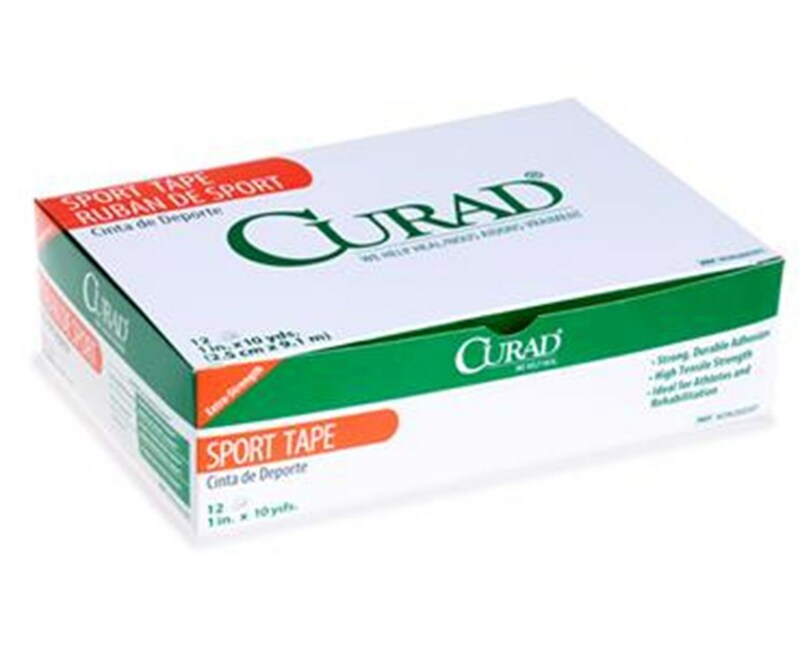 Curad Ortho-Porous Sports Adhesive Tape uses a strong woven cotton backing to provide high tensile strength and support for highly active patients, and a power rubber-based adhesive designed for long lasting adhesion with minimal residue. 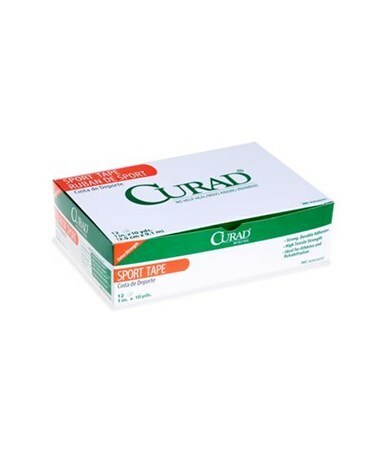 Its highly porous construction allows the skin to breathe and permits moisture vapor transmission. There is consistent low unwind tension throughout each roll for easue of use.